The Expendables 3 – A Review Full Of Bullet Holes – Screenkicker! Before I start this review I need to level with you and say that I’m not a fan of The Expendables movies. The first film was a mess of explosions and bad dialogue, the second was better but still couldn’t get the balance between action and comedy right. So what about The Expendables 3? Does it succeed where the others failed? The answer is…..kind of. Here’s why. The gimmick and main selling point of the series is that it brings together all of the old action stars of the past particularly my childhood. Sylvester Stallone is the leader Barney Ross but from here on I’ll only refer to him as ‘Sly’, its really that kind of film. He’s joined by a host of other stars including Dolph Lundgren, Jason Statham, Randy Couture and Jet Li. 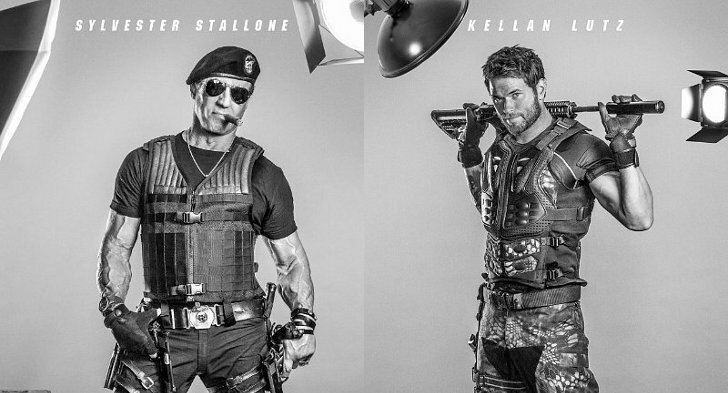 The Expendables 3 has the largest cast so far with new additions being Wesley Snipes, Antonio Banderas, and..um..Kelsey Grammer. There’s also a new team of young actors but we’ll get to that later. The story is pretty inconsequential and simplistic. Sly’s gang are charged with bringing an international terrorist to justice. This bad guy is played by an on form Mel Gibson who its great to see back on screen. The Expendables 3 could have been a rollicking action adventure except for one huge flaw – the movie tries to cram in about a thousand characters. The plot winds up in a pattern of Sly takes team on mission, team gets kidnapped, Sly takes new team to rescue them, team gets kidnapped, and so on. Its a relief then that near the end the film escapes from this infinite feedback loop and the shooting can begin. Its totally bloodless compared to the previous films but you don’t really notice because of the frenetic pace. This whole climax is actually directed really well, with most of the Expendables getting their chance to shine. The Expendables 3 isn’t a bad movie, you get a sense that the actors enjoyed making it and this bleeds through to create a lighthearted flick that doesn’t take itself too seriously. There are a few funny injokes involving Wesley Snipes’ imprisonment and the specter of Bruce Willis. Loved you in Down Periscope!!! Its a breezy shoot em up that’s reminiscent of a long episode of the A-Team so there’s always something happening. Snobs will look down on its old fashioned ways whereas I view them as charming. Would I recommend going to see the movie? Maybe. Depends if you’re in the mood for something you can switch your brain off at and play ‘hey I know that guy!’. For anyone else its probably not worth the ticket price. You haven’t seen Hank haha. Haha, that really makes me want to see Hank! Thanks Melissa! I know you have Stallonephobia. I don’t get it, I love him! Honestly, I ain’t ashamed the slightest bit about actually liking these movies. Going to see this one for sure! 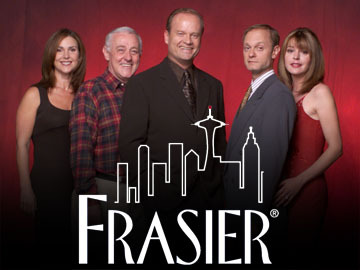 Kelsey Grammer being in this is hilarious! Haha Kelsey Grammar in this? Lol. Good review, I really would like to see this sometime. Seriously lol right now! 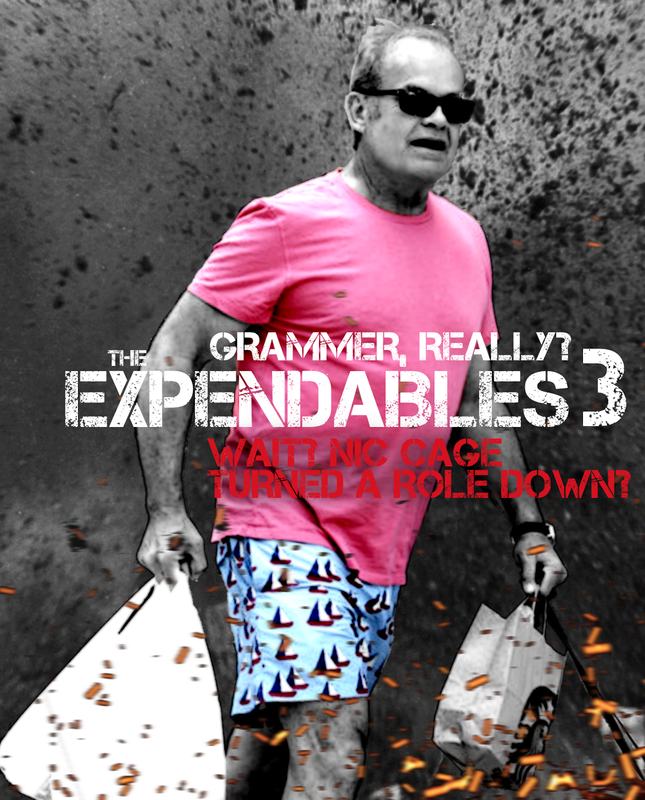 Kelsey Grammer the super expendable douche of them all. 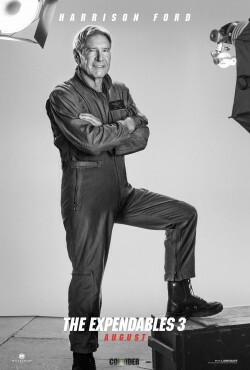 Expendables=old actors who had their day in the sun as action stars. Old guys are pretty cool, well they were very cool back in the day. Great review. I think 2 is lame but 2 is the true essence of the series. But 3 seems half-assed and more of a bore than I anticipated. And the dearth of new characters adds nothing. Oops I meant 1 is lame! Good review Michael. It’s the kind of movie I expect from this franchise by now. For better, and definitely for worse. Ok. So…. You also went to THIS instead of Guardians of the Galaxy??????? Dude. Seriously. Hahaha, to be very honest, I have not seen any of these. Still deciding whether I should or not… Good review!